to buy fertilizers and other farm supplies and pay for laborers\' salaries to maintain her rice farm. Ligaya benötigte 300 US-Dollar, um ein Gewerbe im Bereich Landwirtschaft auf- oder auszubauen. Das Geld wurde gesammelt und für Ligaya bereitgestellt. Ligaya is 37 years old and has four children. Ligaya is married and has two children who are in school. She farms rice in the Philippines. 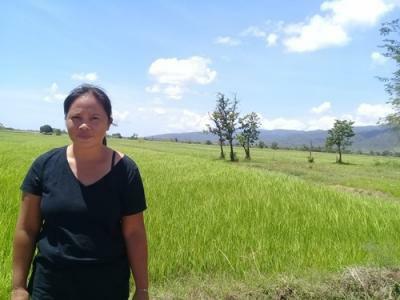 Ligaya requested a PHP 15,000 loan through NWTF to buy fertilizers and other farm supplies and pay for laborers' salaries to maintain her rice farm. Ligaya has been farming rice for 6 years now and has borrowed from NWTF in the past to sustain it. In the future, Ligaya would like to save enough money so she can afford to send her children to college.